The US company Satechi has been thinking about owners of multiple smartphones who also like to listen to music but do not want to spend money for a dedicated speaker for each and every one of them. 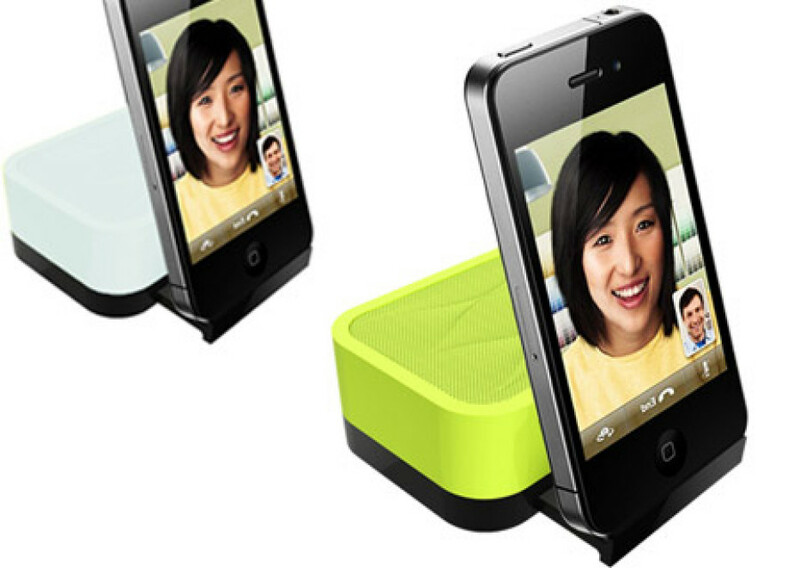 Please meet Satechi iFit-1 portable rechargeable speaker stand – designed for all those smartphone music lovers. The new speaker stand is rather chunky we have to admit but it still fits in pockets or purses. It also features a classic design and on the back you can find the power switch, a blue LED light and a mini USB port that allows you to recharge it. Underneath the speaker you will also find a hidden 3.5 mm headset cable that can connect to pretty much any smartphone. Interestingly, the iFit-1 also incorporates an inconspicuous tray on its front to allow us to prop the smartphone in either portrait or landscape. The sound quality isn’t that great when you turn the volume up to its loudest but the sound produced is surely powerful. Still, if you bring the volume a bit down you will be able to enjoy better and more pleasing tones. As for its battery life, a full charge is mentioned to deliver approximately 6 hours of juice – so yeah, it should appease most people. What’s even better is that the Satechi iFit-1 portable rechargeable speaker stand retails for just 15.99 USD and you can find it at Satechi’s or Amazon’s web site. For that little money it’s really hard to resist it.